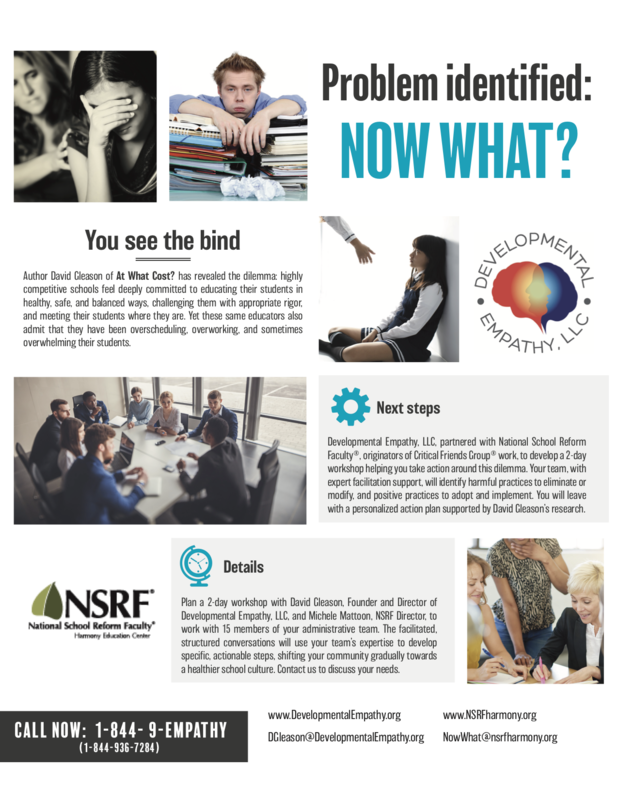 For the past two years, I have been intrigued by what I have come to appreciate as a profoundly effective methodology for professional development for adults in schools, as well as in many other organizations, such as in businesses and healthcare institutions. Two years ago, I witnessed the undeniable value of Critical Friends Groups ® in action during a visit the ACS Athens. Critical Friends Groups ® is a structured and highly engaging approach to faculty professional development in schools, and it is currently utilized in many independent and international schools throughout the US and around the world. I was struck immediately by how collaborative and trusting this group of 12 faculty members was with each other. Each group member contributed, like a peer-consultant, to help another member generate possible solutions to the particularly challenging classroom dilemma she had presented to the group. In a follow-up conversation with that group’s leader – a member of the ACS Athens faculty – I learned that more than 80% of the teachers in this K-12 international school had been participating in these “collaborative learning communities” (so named by the school) as their primary approach to professional development for three-to-five years by then, and that their collective sense of cohesiveness and teamwork as a full faculty were very well-established. These collaborative learning communities had been meeting monthly for two hours, on school-sanctioned time, allocated explicitly for faculty professional development. I watched this diverse group of educators (representing 13-grade levels and all academic disciplines) as they brainstormed, asked probing and clarifying questions that fed off one another, conveyed understanding and validation to the presenter, and ultimately, generated numerous possible solutions for this one teacher’s dilemma. I was struck by how effective this approach was — and is — in contrast to the most common and, in my opinion, least effective approach to real professional development for adults in schools. Typical professional development consists of teachers and administrators leaving their schools to attend conferences, where they listen to content-specific presentations, often in large lecture halls among total strangers. They then return to their schools, only to resume “business – or teaching – as usual.” While the insights and curricular lessons gleaned in these conferences can be valuable, they rarely – if ever – lead to the full faculty’s actual growth and development. While observing these professional learning groups, in and of itself, was incredibly heartening, its major impact on me was the unexpected realization that these collaborative learning groups could play a vital, if not pivotal, role in advancing my mission: to promote “developmentally empathic” practices and policies in schools everywhere. This is what motivated me recently to participate in an “Open Training” at National School Reform Faculty (NSRF) in Bloomington, Indiana, in an effort to become certified as a Critical Friends Groups ® coach In my “open training” week, I realized that while my original observations of Critical Friends Groups ® portrayed individual faculty members presenting their own unique dilemmas to their fellow group members, these protocol structures are also adaptable and applicable to larger-group quandaries and challenges, such as an entire faculty’s desire to become a more developmentally empathic school. As I describe in my book, At What Cost? – anxiety, depression, and their dangerous manifestations, including substance abuse, eating disorders, self-injury and suicide – are increasing student conditions at many competitive high schools throughout the U.S. and all around the world. Paradoxically, most of these schools promote themselves as being committed to their students’ holistic development in academics, athletics, and the arts, and in their personal, social, and emotional growth. Unfortunately, these dedicated educators all around the world fully admit to overscheduling, overworking and, at times, overwhelming their students. This conflict – adults wanting to educate students in healthy, safe, and balanced way but, at the same time (and against their best intentions), overscheduling, overworking, and overwhelming them – reflects a true bind for these well-meaning adults. Fortunately, and to their tremendous credit, after admitting to this bind, they ask, “What do we do now? How can we begin to reclaim our primary commitments to the healthy and balanced education for our students?” For the past two years – since the publication of At What Cost? – I have been presenting at schools and conferences around the world with the primary mission of trying to expose the conflicting dynamics of the adults’ bind, and then to recruit these adults – educators and parents alike – to try to begin making changes that help them to (1) validate and reclaim their original and primary missions of wanting to educate and parent their students in healthy, safe, and balanced ways, and (2) recognize and respect their students’ still-developing status as children and adolescents who are simply not ready to manage the amount of pressure and stress that is imposed on them by the adults in their lives and by the ultra-competitive culture at large. One of the main lessons I have learned throughout these various presentations is that these well-meaning educators already feel so pressed for time in their busy, often hectic, lives and jobs, that even though they truly want to begin making developmentally empathic changes, they are just not sure of how to actually start what feels to them to be a somewhat overwhelming – if not daunting – change process. 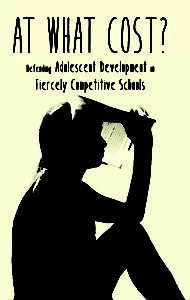 To address this issue, and to provide schools with a practical and realistic option for beginning this change process, my consulting group, Developmental Empathy LLC, has recently partnered with National School Reform Faculty (NSRF), to design a straightforward “next step” intervention for schools to employ to review their current maladaptive practices and to begin generating achievable goals and concrete plans for changing them in the developmentally empathic direction. 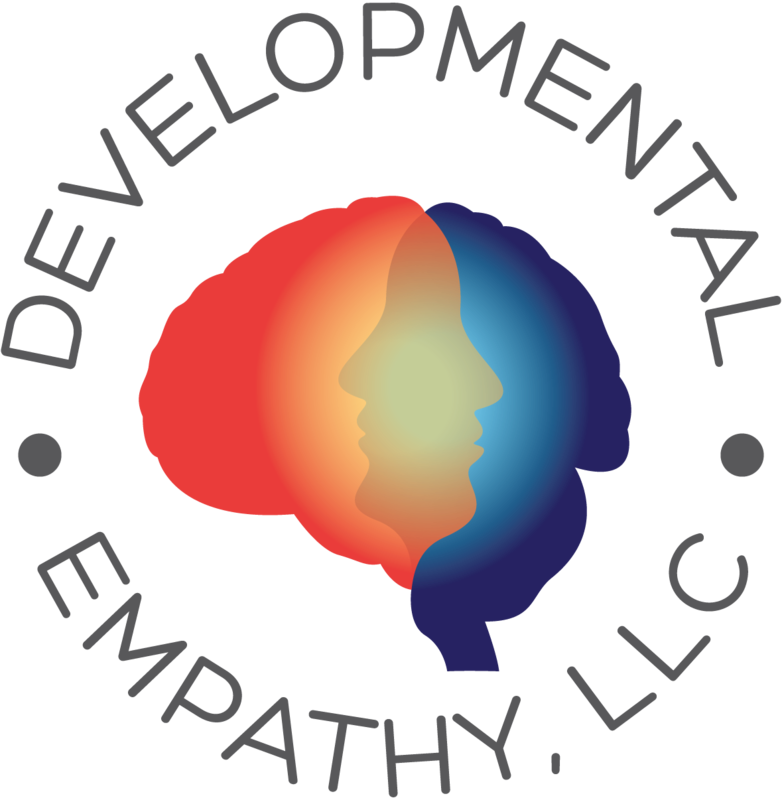 Specifically, Developmental Empathy LLC and National School Reform Faculty have designed a two-day professional development workshop to facilitate the start of this challenging change process. At the end of this two-day workshop, participants (administrators, teachers, and/or parents from the same schools), will have generated real and actionable “next steps” in the process of making long-term adaptive changes. As Michele Mattoon, Director of NSRF, has succinctly stated, “At What Cost? clearly provides the why for schools to change: NSRF can help provide the how.” I couldn’t agree more.